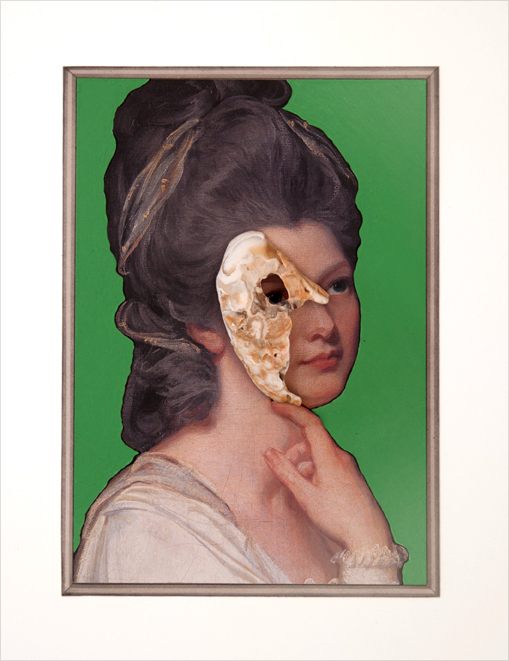 Woman on Green, 2012, paper, acrylic paint, and oyster shell, 10 x 7 inches. From series The Atlanteans. I am a collage artist. I explore the transformative qualities of paper piecing together seemingly disparate visuals to create new environments. Entering my studio you will find over one thousand magazines, old books and found objects that are all part of my palette. These are supplemented by my own photography and painting to create my work. For the past several years my work has been focused on the narrative, primarily fairy-tales with a special interest in Alice in Wonderland. My art education was focused more on commercial applications; graphic design and illustration were my primary interests. I started working in advertising agencies as a paste-up and mechanical artist and later as an art director. Those years of experience in that industry directly informed my eye and how I approach the narrative in my work as well as the technique for what I do now. I suppose I fit the more traditional notion of an artist working alone in a room, though I have never thought of myself “toiling away” while there. I have a studio I commute to daily and the biggest challenge I face in my studio in reality, is disconnecting from the many daily distractions and devices. Once I am able to fully focus on my work my studio actually becomes my sanctuary. In the past year or so, I have been called on to talk about my career, specifically the combination of my commercial experience and fine art to college students as well as to work with them on their projects and portfolios. I have also been invited to speak on the subject of the fairy-tale and the role such tales have played in my work. I have done extensive research over the years on the fairy-tales and related narratives. I never thought a childhood love would figure so dominantly in my life as a grown woman! I work in my studio full time at least five days a week. I’m really not a morning person so often I don’t hit my stride until later in the afternoon into early evening. My collages have gradually leapt little by little, off the 2-dimensional plane. I work in a raised relief technique as it very important to me that the viewer be able to visually “step into” my work. During the last five years I have been creating 3-dimensional collaged-constructions that not only invite the viewer in, but to circle around as well. There is certainly a long list of those who have influenced my work but I would have to say that Lewis Carroll’s Alice has had a major impact on my work, not only as subject matter but also the way I approach my work. I was very young when first met Alice in Carroll’s “Alice’s Adventures Underground.” Alice found herself within – a dark, nightmarish and, at times fantastic layer, not far from the surface of what we would term as normal. Logic and meaning had no place there but she defiantly refused to accept the upside down world for what is truly was. Throughout the her journey she never seemed to doubt she would survive her trip down the rabbit hole and I admire her bravery and perseverance, while maintaining an appreciation for the absurd. Actor. The process of “collaging” life experiences together to create a character on stage is a dream of mine. 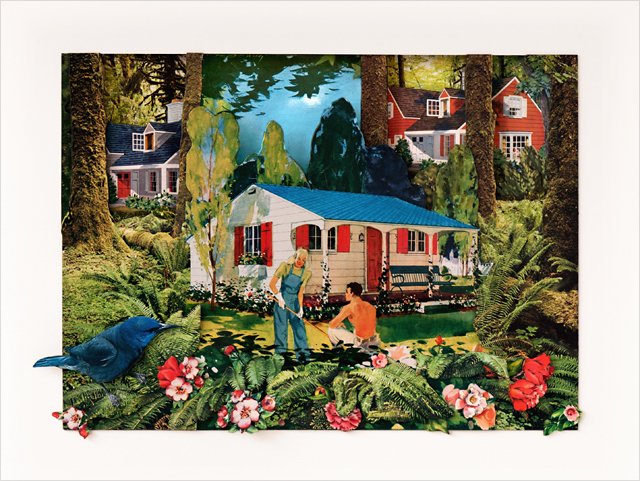 Caroline Golden is a collage artist. 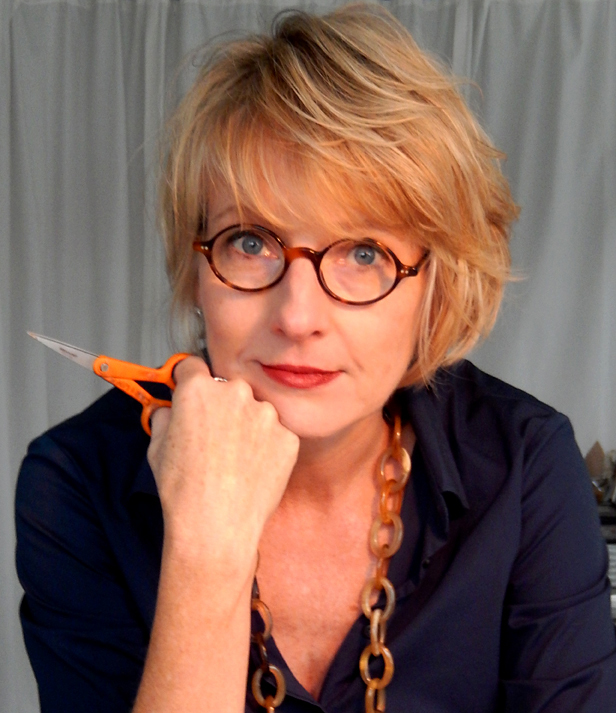 Her collages and constructions are made of found imagery and objects, including her own painting. 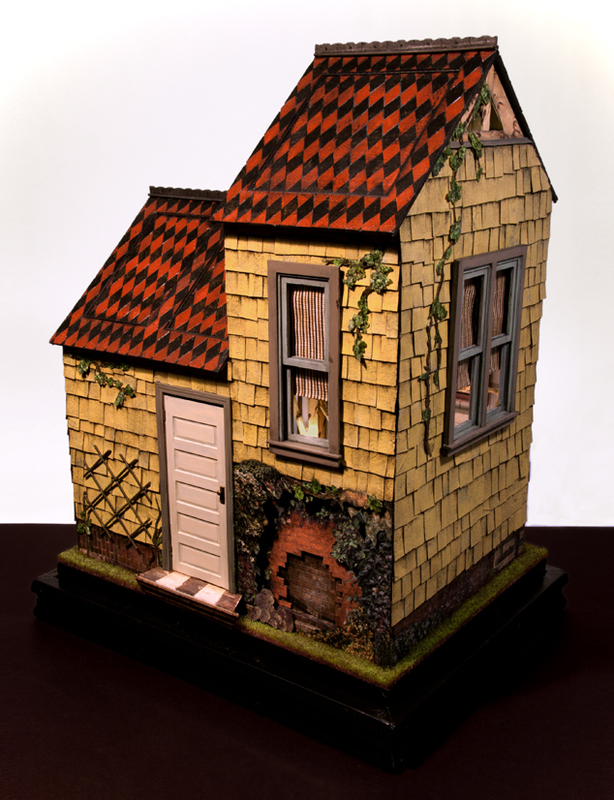 The theme of her work centers around fairy tales and Lewis Carroll’s, Alice’s Adventure’s Underground. Memory and narrative play an important role in her compositions. Golden has lectured about the importance of fairy tales and the many ways they can be interpreted. Her work has been shown in multiple solo and group exhibitions, including a one woman exhibition in Israel, and has been acquired for private and corporate collections. 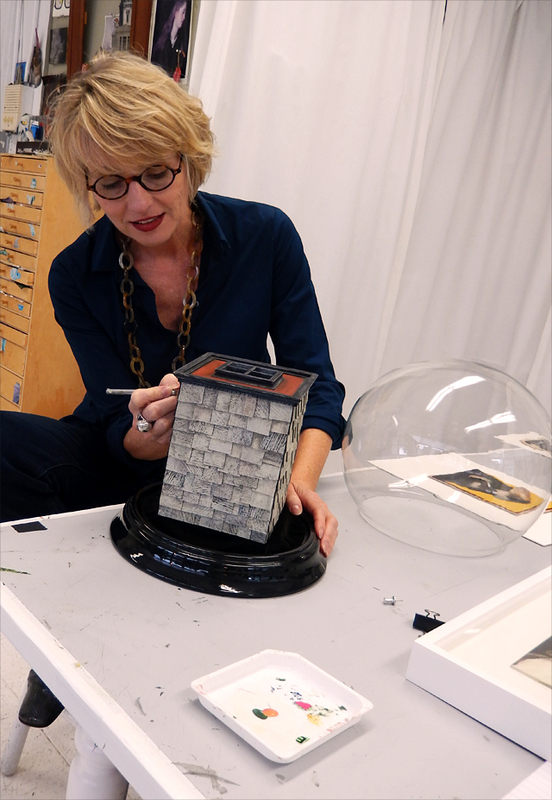 She will be exhibiting some of her latest pieces in an upcoming exhibit of contemporary collage at St. John’s University in New York. Caroline lives and works in New York City.